The official opening of a new state-of-the-art classroom with brand new ICT facilities at James Peacock Infant & Nursery School built by Robert Woodhead Ltd took place on Friday 1 February. 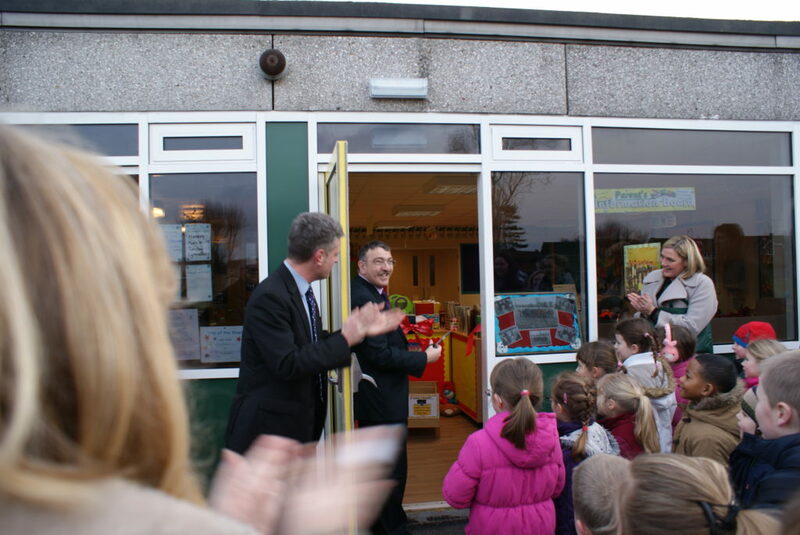 The opening included the cutting of a ribbon to open the classroom by the Chair of Governors, Charles Rayner. “It is an absolute pleasure to give these children the best possible start to their educational careers,” commented Mr. Rayner. Also in attendance was Councillor Reg Adair, the County Councillor for Ruddington, who personally funded the ICT equipment for the new classroom. The kit includes the latest computers and interactive whiteboards. In fact, Robert Woodhead Ltd has been working with Richard Waldron on developments at the School since 2006 when the local builders added a new link corridor. The two latest projects have been procured through the EMPA (East Midlands Property Alliance) Framework which has resulted in considerable efficiency savings for the school.